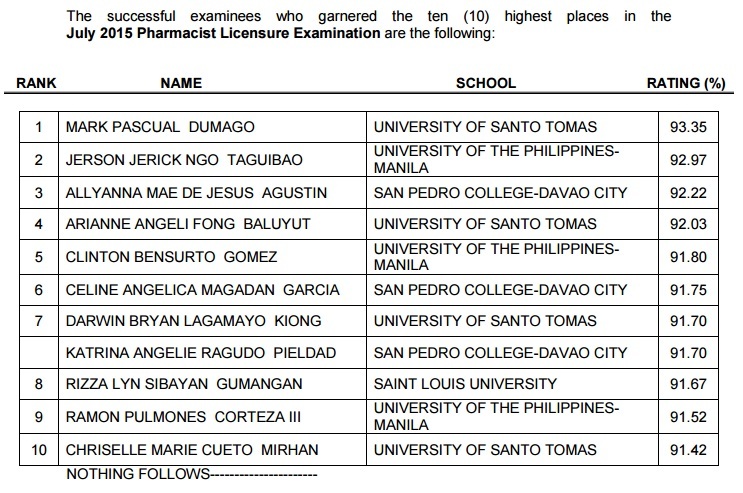 The Professional Regulation Commission (PRC) on Wednesday, July 22, 2015 announced the full list of passers for July 2015 Pharmacist board exam. 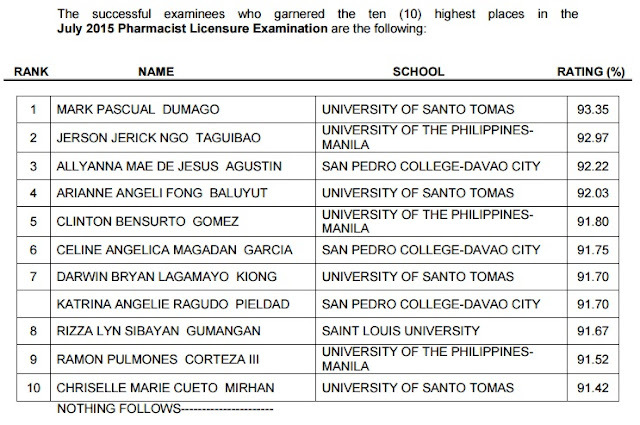 Mark Pascual Dumago, graduate of University of Santo Tomas (UST) topped the board with 93.35 percent grade. A University of the Philippines (UP) - Manila alumnus Jerson Jerick Ngo Taguibao ranked second with 92.97 average grade.